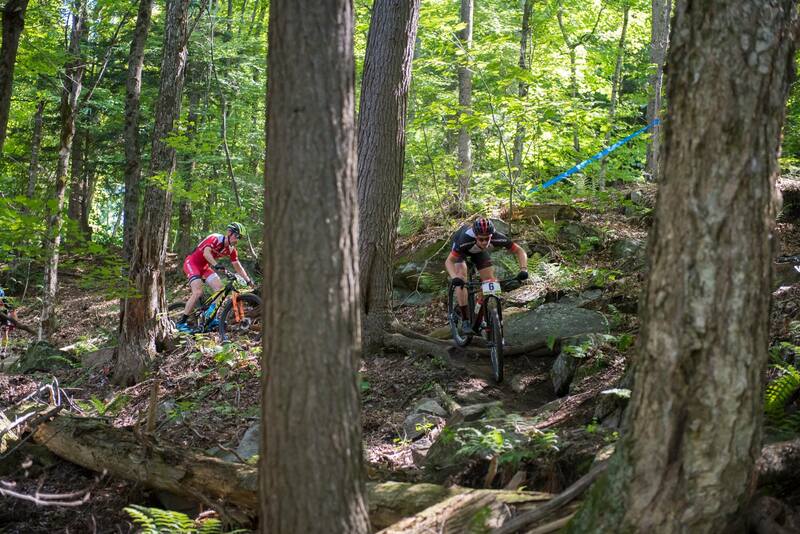 Located in cottage country, Sir Sam’s Ski Resort played host to this year’s Ontario Mountain Bike Provincials. My family got our cabin (#9) at Silver Lake Cottages and nestled in for the weekend. After returning from Tour of Alberta, I took a few days off to chill and do some ‘year end’ bike stuff. 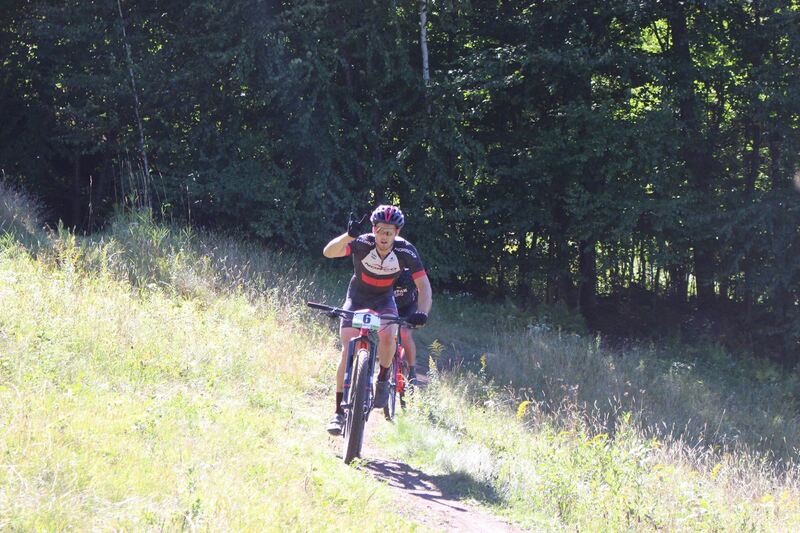 Showing up to provincials after not riding my bike all week was unnerving but I thought I would make the most of it. The race was awesome. Derek Zanstra showed up after taking some time off himself. The legend Davis Ross was out guns-a-blazin’. The stage was set for a good throw down. The start was chill, I made it to the front and kept the pace reasonable. After the first lap, Davis, Derek, Kelsey, and myself had established a lead. I could not ride a bike whatsoever for the first few laps. 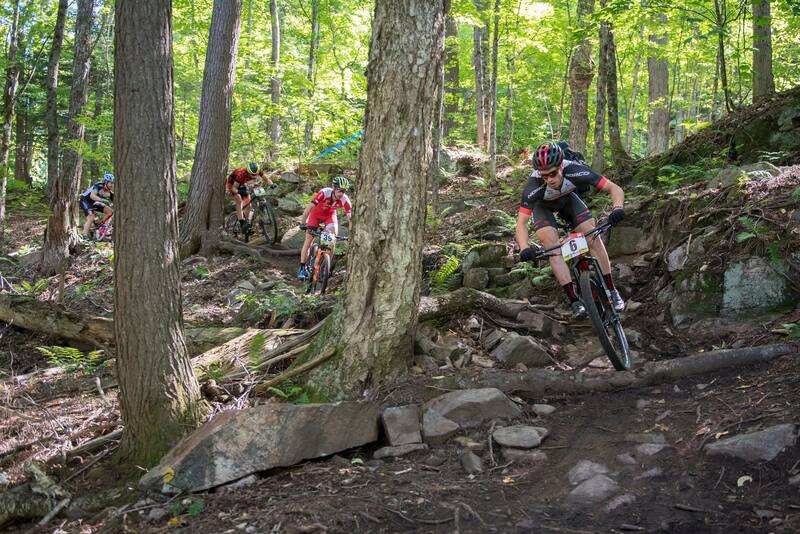 I was having mad issues on the quick-paced, tight turns with slippery roots and trees everywhere. By the end of the last few laps I had pulled it together, but the roadie life sort of messed me up for the beginning of the race. On the last lap, Derek and I turned up the pace. Twisting the screws, we dropped Davis and charged forward through the lap traffic. In the end Derek got it. Just didn’t quite have it in the legs to close the gap. All good, finishing U23 Provincial Champion! Woot! Big thanks to Norco and Superfly Racing!